Browse the solutions to 7 Little Words daily Puzzles of 7th April 2019 with its clues. Here you can check all daily puzzle solutions date wise. Today’s [ 7/April/2019 ] answers are solved based on the clues, which are given below in red color. 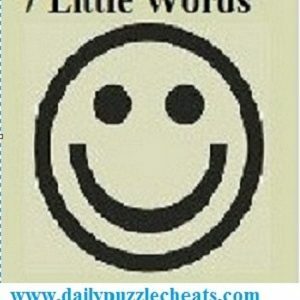 To check more 7 Little Words answers click here. Scroll down the page to check 6th April solutions.